A conversation I had the other day with an individual who trains at Conquest was one that you mark down as a reminder of why you do what you do. 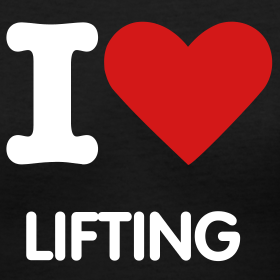 I love lifting! I love training! I love gyms! I love seeing people succeed! In the right light a gym can bring out all the good qualities a person has to offer. It challenges everything that revolves around the substance of character and forces you to improve as an individual. The drive, dedication, respect for your body, diligence and other positive characteristics of high moral fiber are manifested by work done in the fitness center. It is personal head space time, it can be competitive or non competitive. It can be whatever you wish it to be. In the end I want everyone to know what that feels like. The feeling of setting a goal and the reward of that goal being totally intrinsic. It is a gift that we have the ability to move. Why not improve, embellish and inflate it.